This orchid is extremely rare and localised. Its name, neerlandica, means 'from Holland' where it can be found in the north. This orchid can grow up to 50cm in height, and in open situations it is a robust-looking plant with thick stems. In more shaded areas it is smaller and more delicate. Each inforescence has as many as 40 flowers which are pale green often tinged pink and with deep brown-to-maroon hypochiles making very attractive plants. The lips of the flowers have rather indistinct bosses. 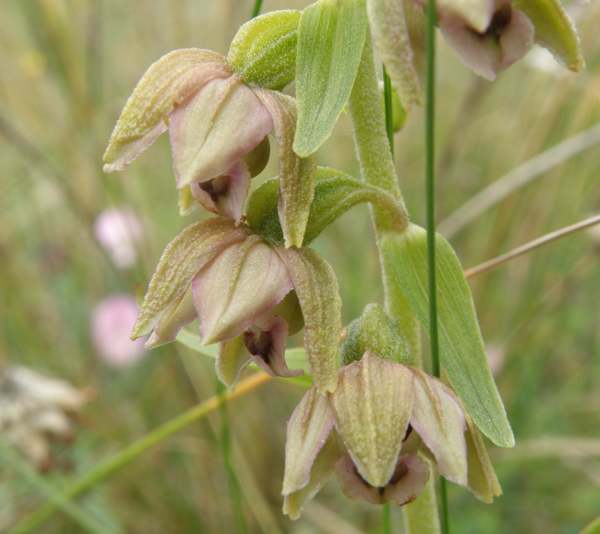 Epipactis neerlandica is a plant of the Atlantic region of Europe and can be found in Denmark (Jutland), Germany, Belgium and Holland. It is also reported in Southwest Wales at Kenfig National Nature Reserve near Port Talbot. 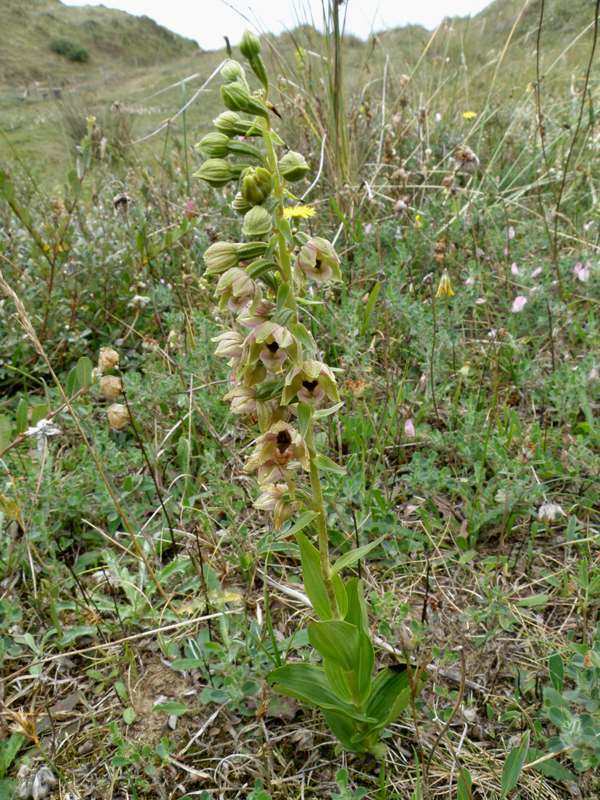 Epipactis neerlandica occurs in woodland, but is not found in the deeply shaded parts that we sometimes associate with Epipactis helleborine.It also grows in open pine woodland on sandy soils and in sand dunes amongst willow scrub. 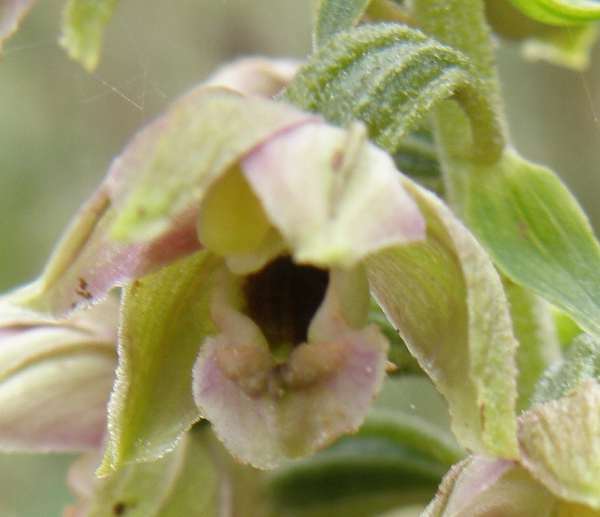 Epipactis neerlandica flowers from the mid-to-end of July and right through August.